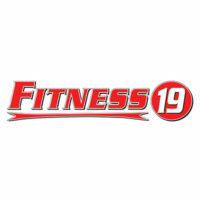 Fitness 19 started with the goal of giving customers a simple and affordable fitness center that provides members with excellent services and state-of-the-art equipment and facilities. This fitness center has over 120 clubs nationwide, located in 19 states in the U.S. Fitness 19 is known for its great fitness and health services without the hefty price. Fitness 19 began in 2003 and was founded by fitness veterans who wanted to create a health club that would cater to the needs of most of the people – something that traditional health clubs did not provide. Together, Robert Lineberger, Earl Wilson, and Nick Milat started Fitness 19, which specializes in cardio, strength training, and free weights. These three have had their individual experience in the fitness industry, and their combined ideas established the club’s fundamentals. This fitness club has rapidly gained popularity since it was established due to its affordable rates. It is now one of the fastest growing fitness centers in the United States. Benefits of Joining Fitness 19 / Why Members Like Fitness 19? Fitness 19 provides its members with the latest equipment for cardio workouts, strength training, and free weights – all without breaking the customers’ bank. It is affordable and of excellent quality in terms of service and amenities. This fitness center has ample space for different types of workouts and classes. Their workout floor has equipment that are designed with the customers’ overall health in mind; in fact, many come with heart monitoring systems in them. Fitness 19 provides members with professional trainers who will guide and coach them towards their health goals. Only trainers of the fitness center itself are allowed to conduct training exercises to members. Their personal trainers can also provide one-on-one instructions, specially designed programs for different types of health goals, new workout activities, and other programs for different body types and age groups. Known for its friendly rates, Fitness 19 offers different types of memberships. For the monthly membership, a basic, one club access costs $15. The monthly premium, providing unlimited clubs access is priced at $19. Annual rates are also available for members who intend to stay on for a while. The basic club access is priced at $179 annually, and the premium, unlimited clubs access is at $219. All monthly and annual rates require an initiation fee. Unlike other gyms that have different costs of initiation or enrollment, all of Fitness 19’s membership types have the same initiation fee of $49. In case members want to cancel or terminate their membership in the club, Fitness 19 does not require any cancellation fee. Fitness 19 offers guest passes for members who want to introduce someone new to the gym. Guest passes can only be used once every six months and is only limited to one person. Only first time guests are allowed to avail of the guest pass, and they must be a local resident in the area. Discounts cannot be used for the guest pass, and a valid I.D. must be presented at the check in where the guest pass must be claimed within fifteen days. Fitness 19 offers a variety of strength equipment to help build muscle and bone density along with strength. They have provided an assortment of Plate Loaded Hammer Strength and Hammer Strength MTS equipment. The fitness center also provides excellent cardio workout environment equipped with treadmills, stair climbers, lifecycles, and elliptical cross-trainers that are user friendly and have heart monitors. A free weight section is also available in the gym, which includes dumbbells, benches, power racks, squat machines, multi-jungles, an 8-station crossover cable, and many others. Different types of classes are also available for the members’ different interests, such as yoga, aerobics, spin classes, pilates, HIIT, circuit training, Zumba, and so much more.